Our heartfelt gratitude to everyone who joined us for our Crosstentatious charity special in January. 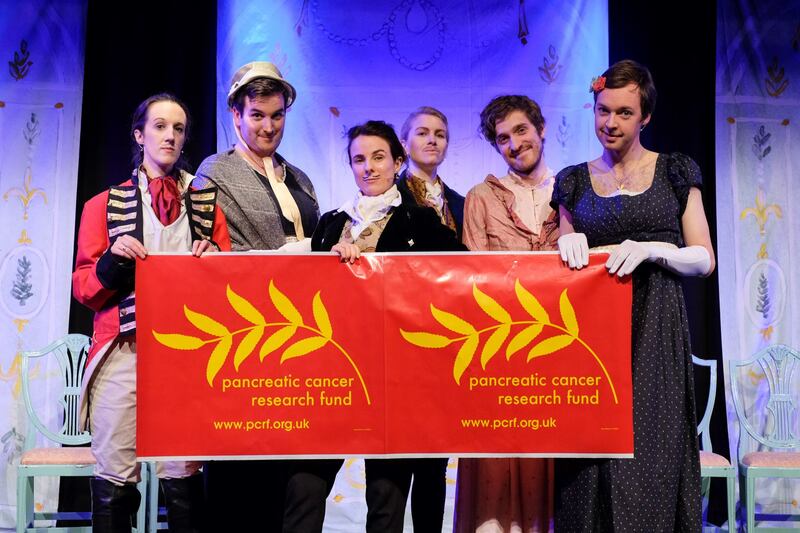 Thanks to the generosity of our audience and those who donated raffle prizes, we managed to raise £3134.46 for the Pancreatic Cancer Research Fund! Thank you to our wonderful audience and to our noble raffle benefactors: Benefit UK, QI, Mischief Theatre, Faber & Faber, PBJ Management, Leicester Square Theatre and Rowley & Cooke. Thanks too to our noble technician, Jon Monkhouse, our fine musicians, Corrina Connor and Oliver Izod, and photographer Damian Robertson, for donating their time. As for the Pancreatic Cancer Research Fund, our admiration for them knows no bounds. Should you ever find yourself in possession of a good fortune, they are always most thankful for donations, all of which go towards a truly life-saving cause. We salute them!